The Writer ballpoint pen features a bold translucent design, customizable with one unique logo imprint. 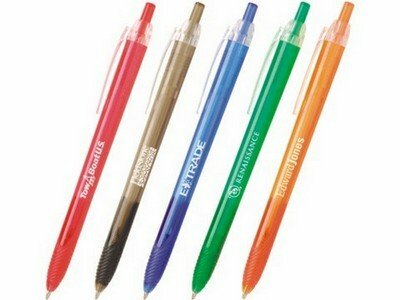 Imprint area: 1-1/2" x 1/2"
Brand these impeccably designed Hub Translucent Writer Retractable Ballpoint Pens with your logo, name, or message and make it into an arousing giveaway at your company's marketing events. With its matching rubber grips, transparent clip that accentuates the pen, and super smooth writing, your clients and customers will admire its beauty.